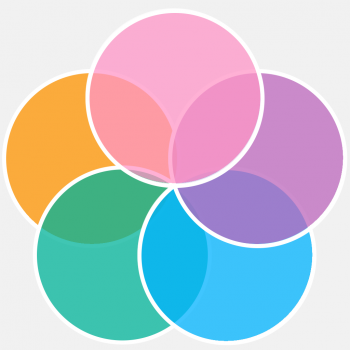 GroupMaker is the best app for quickly creating diverse groups. Organize groups based on gender, performance level, or ethnicity. You can also just randomly mix everyone up into groups of 1-20 depending on your needs. You can organize students by ethnicity, gender, or misc. The misc category can be used to sort by mastery, partial mastery, or non-mastery of contents, or anything else along those lines. The misc category is intended be flexible and opaque in the event it is seen by students. GroupMaker is a tool to help teachers organize their classes into diverse heterogenous groups. We’d like to thank Krissie Littman, Julie Wray, and Jonathan Wray for contributing to its development. 1. Tap on New Class to create a class. 2. Select the Class from the grid. 3. Tap on Show Settings + in the upper right hand corner of the screen. 4. Tap Add Member + from the settings view. 5. Select a Member to change their settings. 6. Tap Add Groups + from the settings view. 7. Select a Group to change its settings. 1. Create a text file with txt as the extension (i.e. class.txt). 2. Put each class member in the list last name, first name. 3. Email class.txt to yourself. 4. Open the email on iPad and then Hold down on class.txt in the email. 5. Open the file in GroupMaker. – Face Detection for fast class member importing from a a single class photo. – Attendance Mode: Toggle which class members are present or absent to better manage the groups. – Groupings: Create any number of groupings per class. – Members: Add any number of members per class. – Drag-and-Drop: Drag members between groups. – Picker: Easily pick a student or group using the built-in picker tool. Standards: Interaction, Planning for Instruction. Tools: Attendance, Group Configurations. Disciplines: All. Grades: 3-5, 6-8, High School, Higher Ed., Pre K-2. Verbs: Group, Take Attendance. Do you need help organizing your students to create effective groupings based on prior knowledge or skill? Then, this app is a good pick. However, grouping is not all it can do. You can also take attendance by toggling back and forth. And, if a student is absent easily move one student from another group and drop them in to keep balance. Love having the attendance tracker and group creator all in one!